34% Merlot, 33% Cabernet Sauvignon and 33% Sangiovese from Umbria, Italy. SRP of $14 and available for as low as $8. “In creating Vitiano Rosso, I combined the quality, terroir and historic tradition of Umbria with modern winemaking practices to craft a wine of contemporary style and character. A blend of Merlot (34%), Cabernet Sauvignon (33%) and Sangiovese (33%), Vitiano Rosso is rich with dark red fruit aromas and flavors. Merlot adds roundness and sweetness to the palate, Cabernet Sauvignon brings body and complexity, and the acidity of Sangiovese provides balance to the mix. Notes of black cherries, plum and spice make this wine an ideal match for red meat and tomato sauced dishes. Another day, another $8 Italian Red BULK BUY with free shipping! If only every week were like this one 🙂 Once again today we have a simply delicious, cheap Italian wine. And through next Monday you can get this wine, and every wine this week, with free shipping on orders of 6 or more bottles thanks to our friends at Marketview Liquor. Buy 6 of your favorite, or at the end of the week, buy one bottle of each — either way it ships free. And many of these wines also have 10% case discounts (mix & match) so if you want to stock up even more you can take advantage of that AND the free shipping! 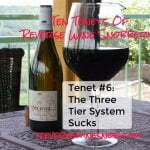 It pays to be a reader of The Reverse Wine Snob! The 2010 Falesco Vitiano Rosso Umbria begins with strong, enticing aromas of dark ripe fruit, spice and smoke. Tasting the wine reveals flavors similar to those found in the wonderful bouquet with a bit of a rustic tinge to it. 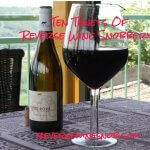 This is a savory wine that has some personality, which is not always something you find in the under $10 price range. It ends dry with more rustic fruit, followed by oaky spice and finally a bit of coffee at the very end. Excellent! It reminds me a bit of one of the cheap and delicious Italian wines that influenced me to start this site, the 2008 Trentatre Rosso. 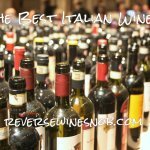 Wine in the $8 Italian Reds Series! Wine #1: Banfi Col Di Sasso Toscana 2010 – One Tasty and Food Flexible Tuscan. Wine #2: Piccini Chianti 2011 – The Uncomplicated Life. Wine #3: Tormaresca Neprica 2010 – A rich, chewy, fruity bomb of goodness. 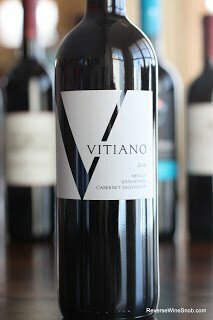 Wine #4: Vitiano Rosso 2010 – Cheap and Easy. Wine #5: Coltibuono Cetamura Chianti 2011 – The perfect Friday night pizza wine! Wine #6: Saladini Pilastri Rosso Piceno 2010 – Saving the best for last! Can’t receive wine shipments in your state? 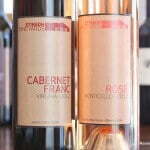 See a listing of local retailers selling this wine here.